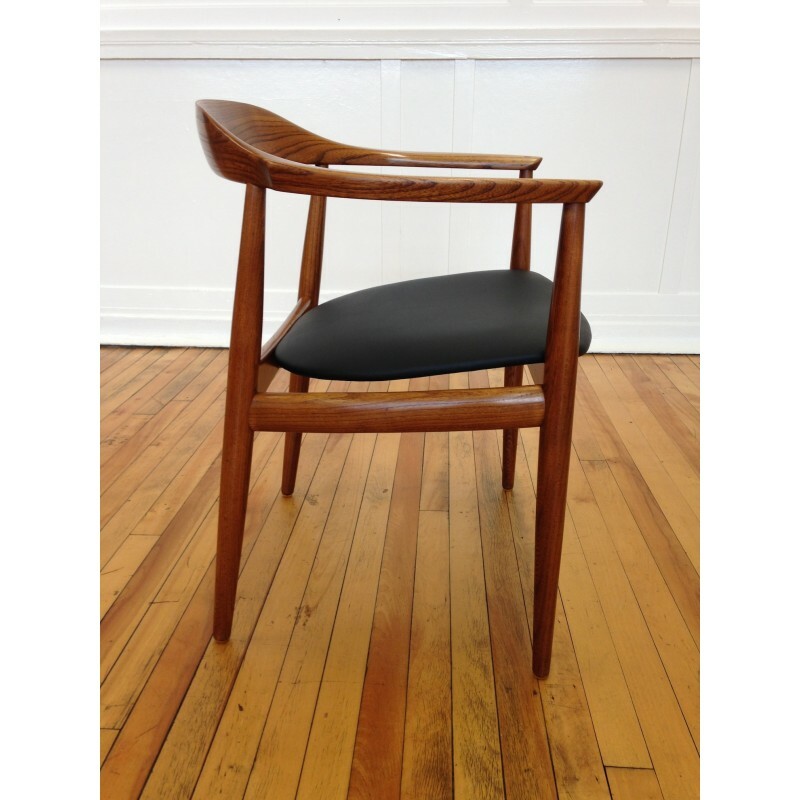 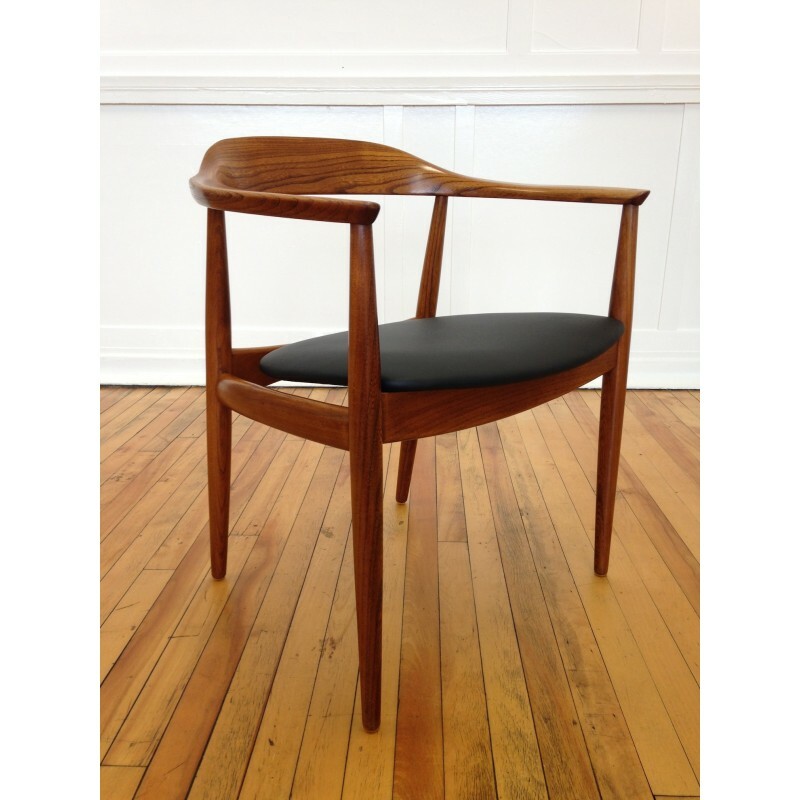 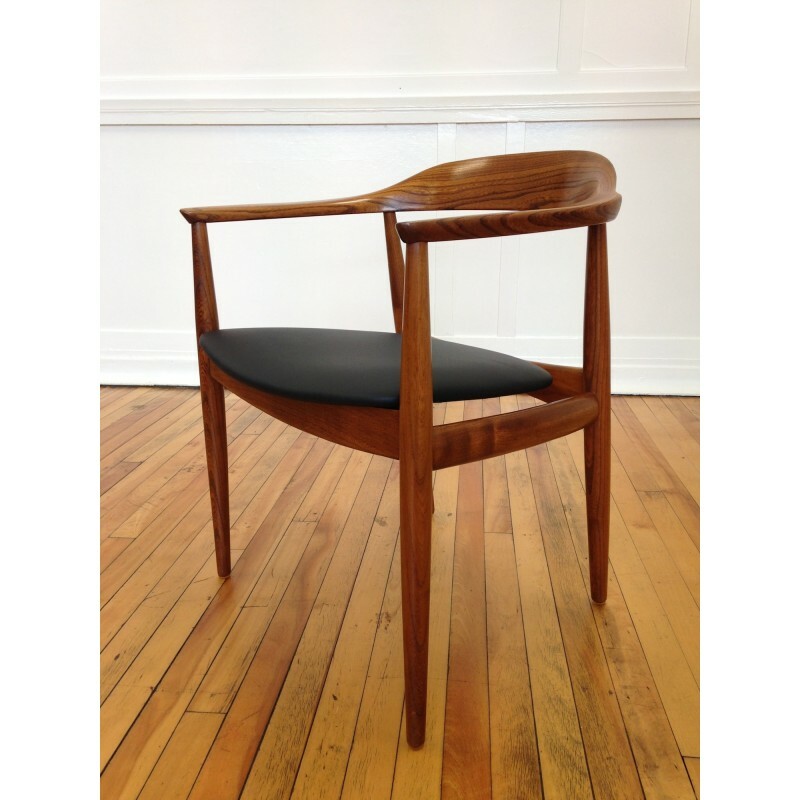 An exceptional occasional armchair / desk chair designed by Illum Wikkelso and manufactured by Niels Eilersen, Denmark, circa 1970's. 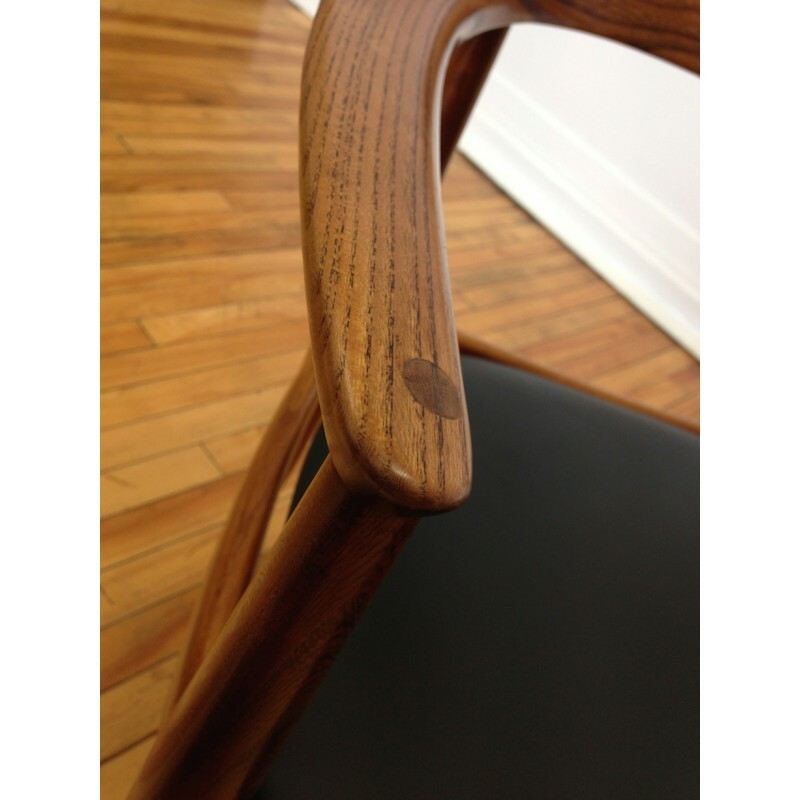 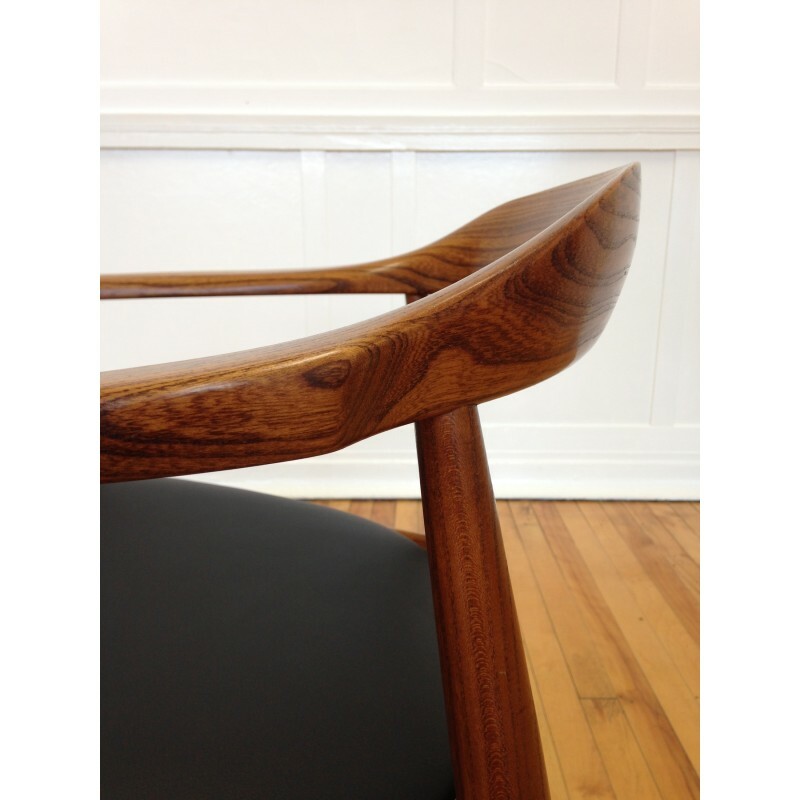 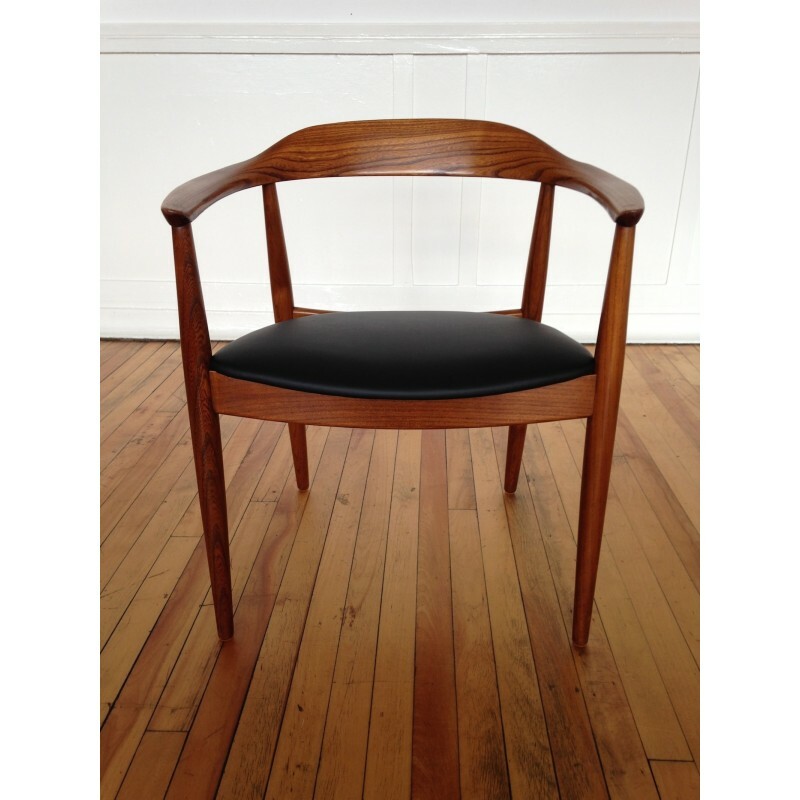 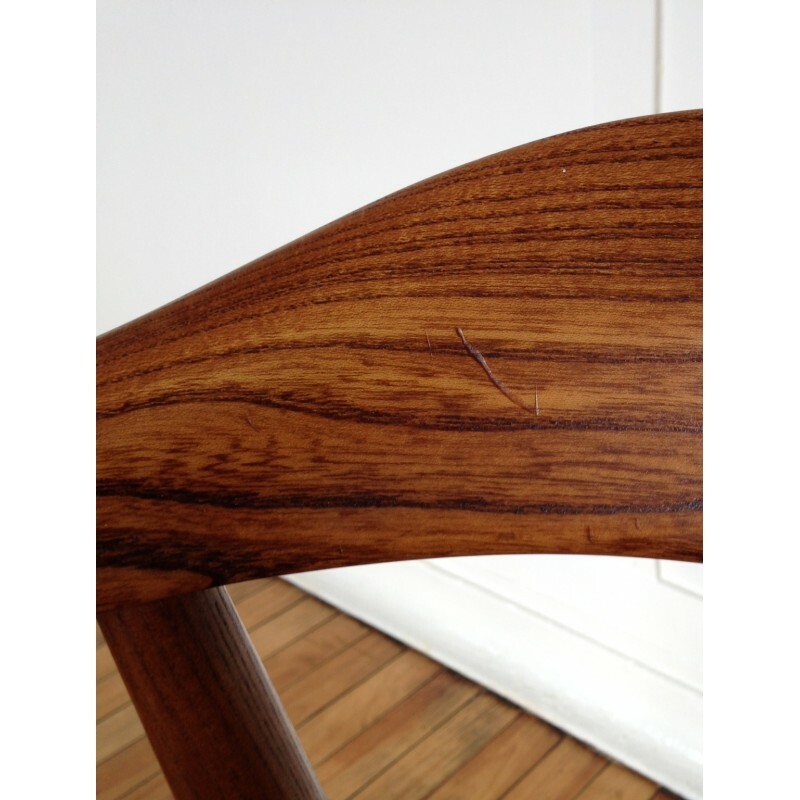 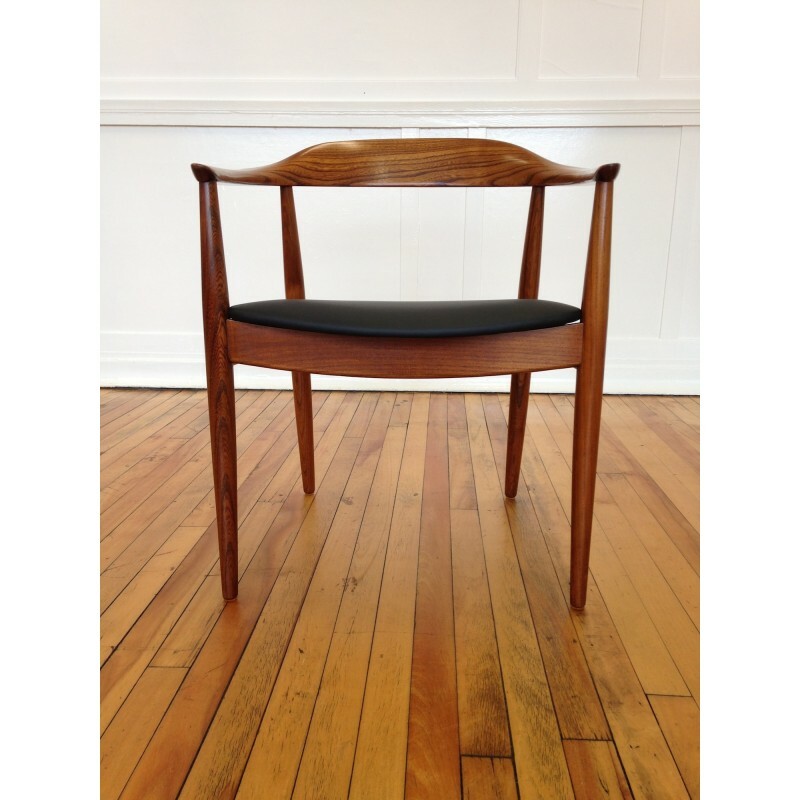 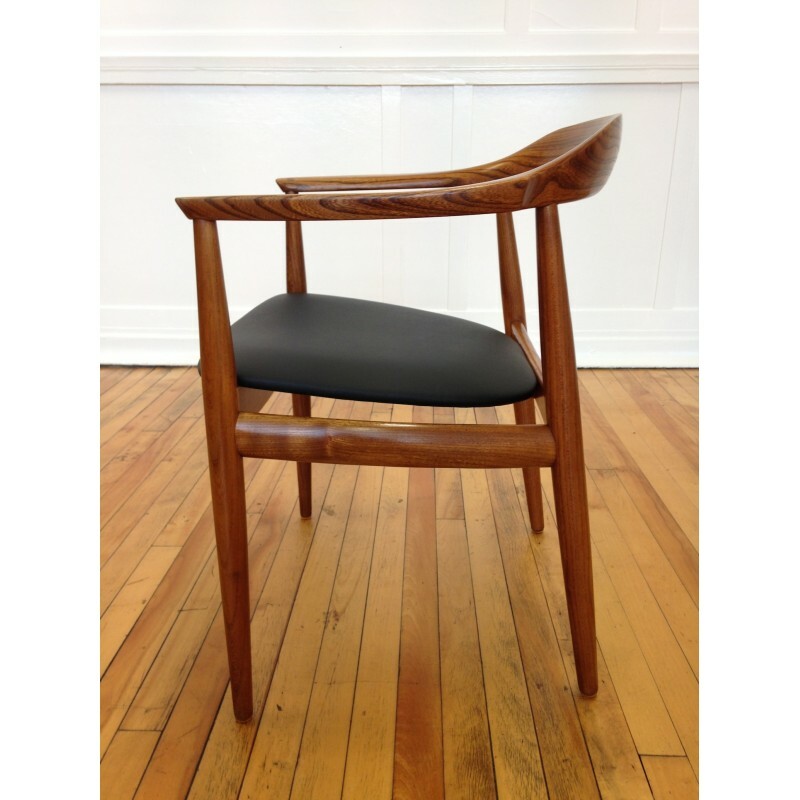 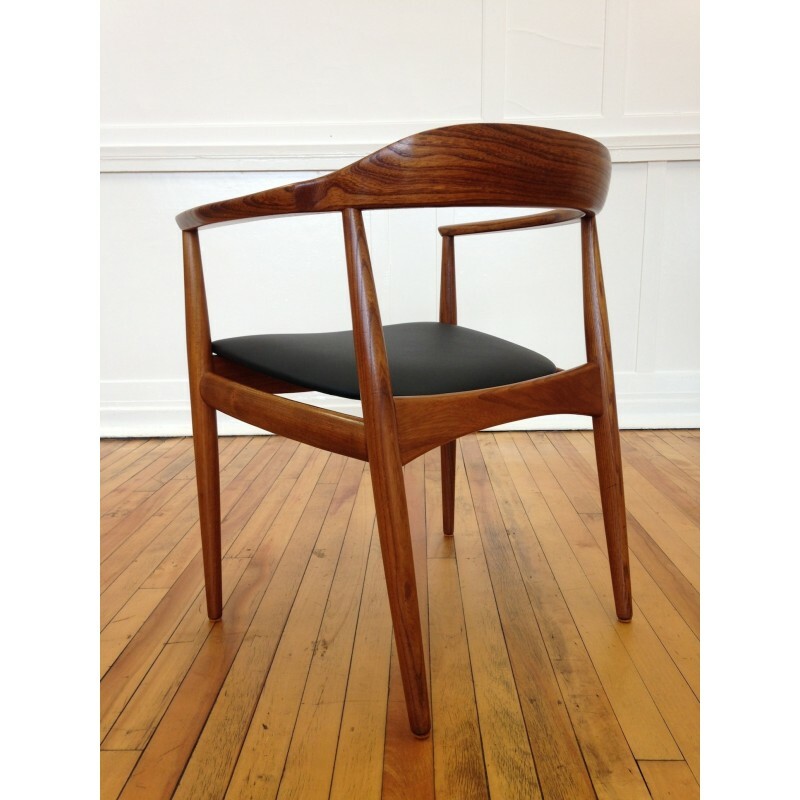 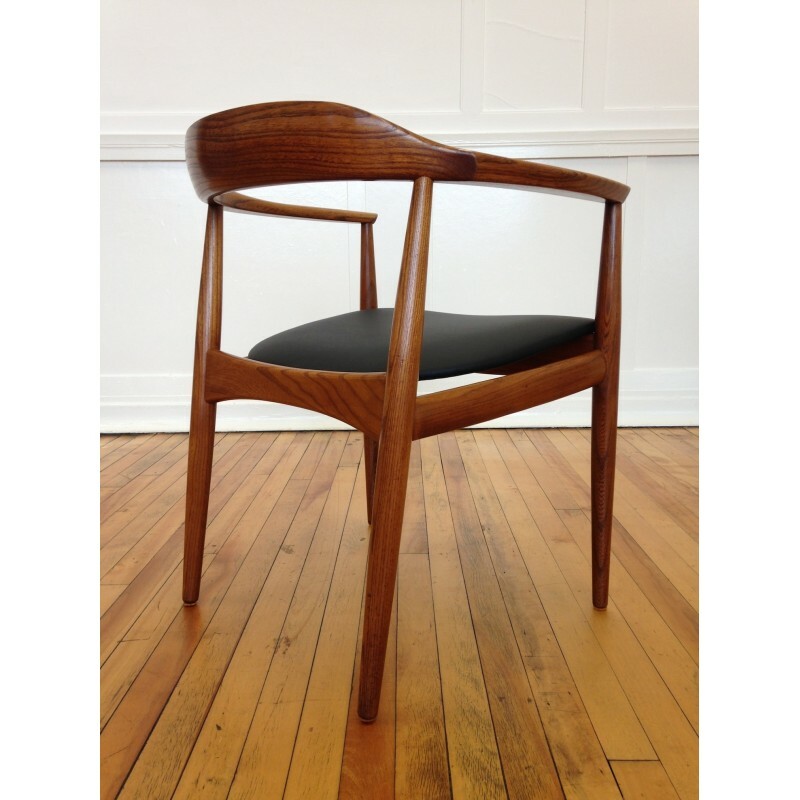 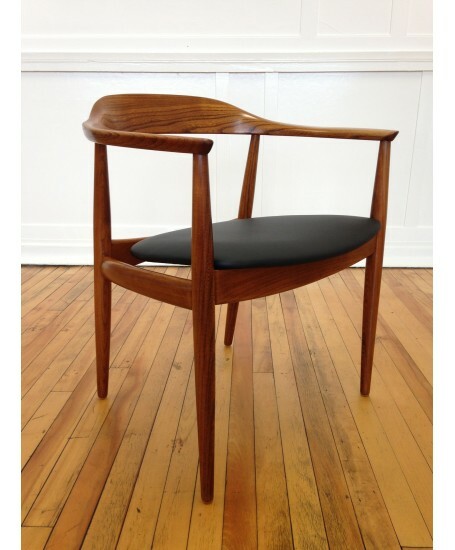 The chair is made from solid elm and is in excellent original condition with stunning grains. 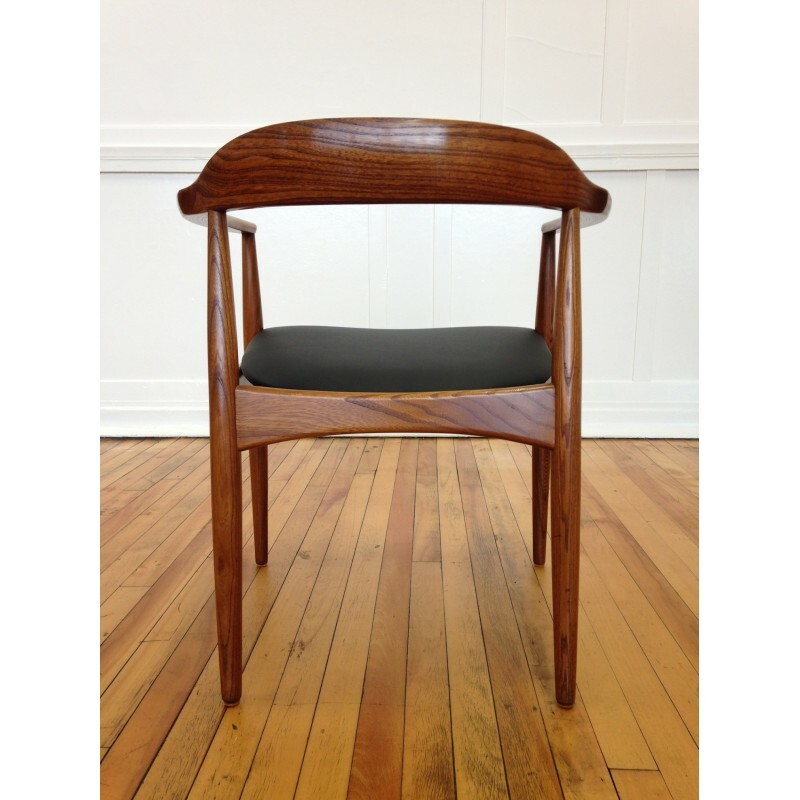 The seat has been fully re-upholstered in quality black leather.